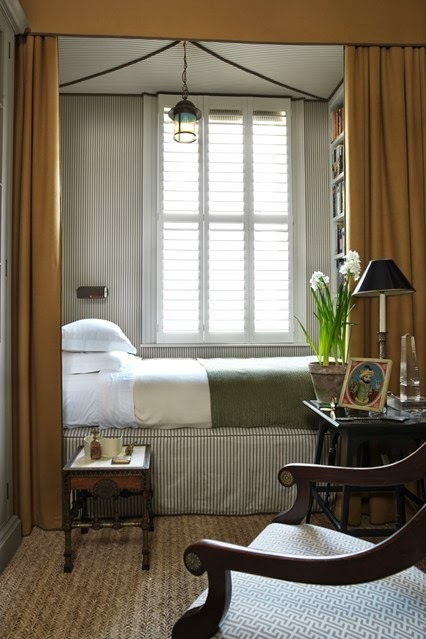 A chest of drawers built into the alcove makes great use of the rooms natural space. 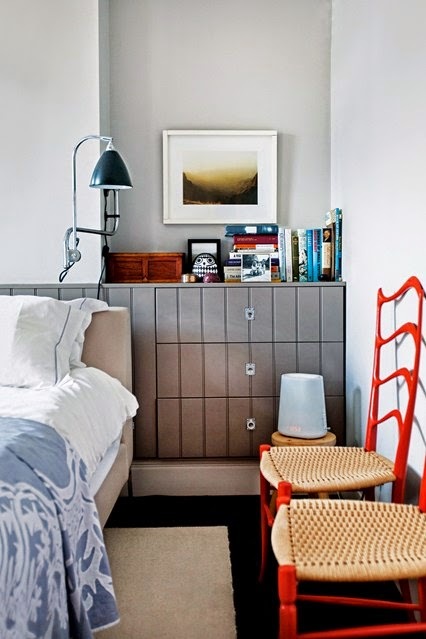 The chest of drawers and wall cladding are both made from the same material. 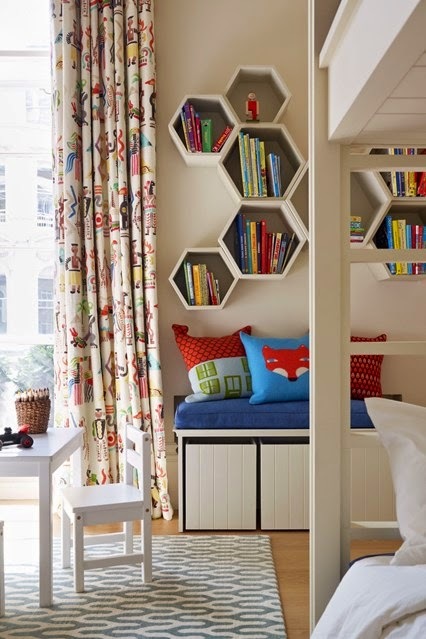 Using quirky bookshelving adds both practicality and personality to this child's bedroom. 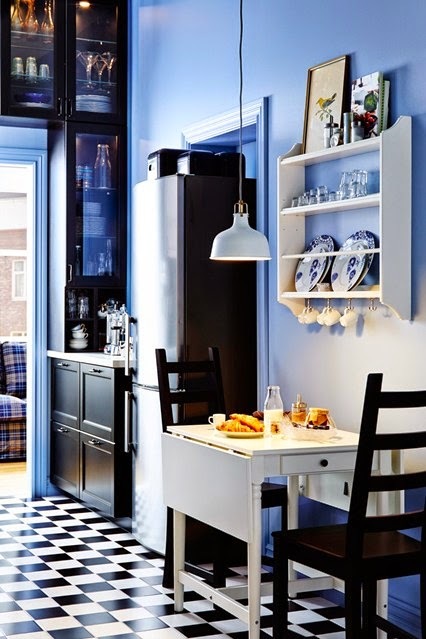 This kitchen provides the perfect inspiration for those working within a small area. Compact without appearing cramped, the storage space is structured by clean, monochrome lines, which are in turn warmed by the soft touches of copper that infuse the colour scheme. Interior designer Maurizio Pellizzoni of MPD London has utilised the space behind the bed in this room to create an unenclosed walk-in wardrobe. 'The mirror conceals double doors which lead to the bathroom. The sheer fabric curtain creates a feeling of space, making the room feel lighter and less cluttered. A plethora of extra storage space is unleashed in this kitchen by surrounding the doorway with cabinets. 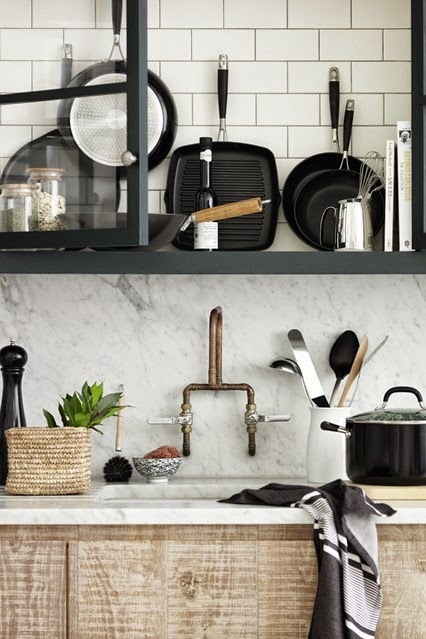 Sleek storage boxes are placed on top of the refrigerator, while a wall shelf displays decorative plates and teacups.